← MLiP Wednesday: The Travel Companions. Truth be told, I had a minor almost-panic attack on Monday (or was it Tuesday…) over the impending traveling. I “Mr. Spocked” myself out of it, thankfully. What is “Mr. Spocking” you ask, well – it involves me telling myself that it is illogical for me to panic of the situation. I’ll write more on that another time, I think. Mr. Muse and I received what was essentially all of the pertinent information a week ago. Nine whole days before the trip. 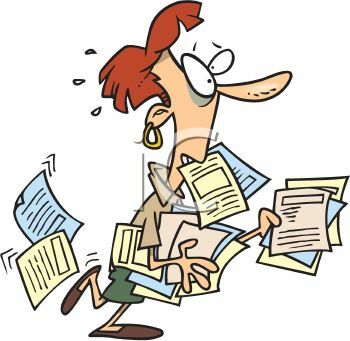 Since we’ll be working in chaperon-capacity, and I’ll be modeling and giving a seminar as well, I stared at the pile of print-offs, paperwork, schedules and just felt a good-old-fashioned Freak Out coming on. I am normally very calm, easy-going and mild-mannered in day-to-day activities. Last minute changes to plans find me shrugging with a “no big deal” and changing gears. In a crisis, I come through with flying colors. Example, I was a witness to a car wreck and stayed with the victim talking her out of going into shock – she wasn’t terribly hurt – just emotionally beside herself and it was getting ugly, after checking on the girls that caused the wreck and commanding two other witnesses stay with them and called the police. The whole thing caused me to lock my keys in my car – thankfully Mr. Muse didn’t work too far away – so he came to my rescue, and we laughed. Anyway. So normally… blah, blah, blah. This Freak Out that I was feeling got me pondering just what personality “type” I fit into because I knew that if I sat down with my planner and went over each day, what was happening, what I needed, where I had to be at what time – that would calm me down. I love details. I love minutia. I like plans and organization. I’m not a textbook go-getter Type A person, but I’m also not a “go along with anything” Type B person. A quick search brought me to this site – I’m definitely a Type C person, though I pull from the other two as well. I definitely get frazzled if I’m given a pile of details with which there is no accompanying plan. So I sat down with the planner, I poured over each page of every document, pulling the information I needed and instantly I felt relaxed. Planner in hand, I headed back to the bedroom, threw open the suitcase and pulled what I needed from the closet. Dress and shoes for that dinner, another dress and shoes for the other dinner. Laminated skinny jeans for those events and tops to match. I was a planned out Fashionista. I even have accessories! Right now my bathroom vanity appears to be in a state of controlled chaos, a pile of items sitting out to make sure I take them along – like contact solution for my “special eyes” (I rarely wear my contacts). I have my instructions for the fantastic woman who watches the house and takes care of the animals ready to go. The neighbor who plows the driveway is going to keep an eye on things as well – and I saw him talking to our other neighbors yesterday, gesturing to the house, so I have a good group keeping things under control. I’ve packed my airplane snacks: Kind bars (not enough soy in those to cause problems), a “whole fruit bar”, almonds and pitted dates and two beef sticks from my latest GFreely.com delivery. I feel like I’m packing food for a desert crossing expedition but with all these food intolerances, now I have to make sure I have something safe to eat, especially now that airlines have switched to pretzels as the snack. My travel clothes are laid out and at the ready for the 3 AM wake up call. My last-minute check list is written and Mr. Muse has added to it. Charlie and Cedric are patiently waiting to be strapped into their places and my bottle of Ativan, aka “Prince Valium”, is at the ready along with heart medications. Meals have been planned out, even so far as to make sure we had easy things to make for dinner when we get back. I’ve been using up bananas in smoothies; currently I’m drinking a Banana-Blueberry-Raspberry-Oatmeal concoction as I write this post. Fresh veggies have been eaten up, excepting the celery, which I’ll chop up and freeze. Almond milk and yogurt will be used up with the smoothies. Camera gear is ready. Houseplants will be watered, orchids spritzed, laundry done and trash taken out. I think I’ve remembered everything… even the kitchen sink. 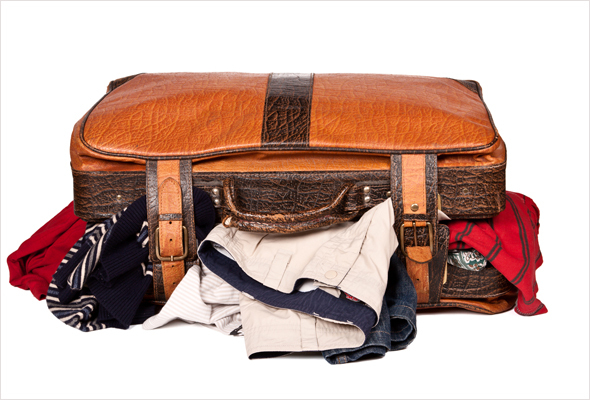 Do any of you feel like you’re running a Three Ring Circus when you prepare for travel? This entry was posted in Gluten Free, Life, Musings, Personal, Travel and tagged Ativan, Cedric the Roaming Gnome, Charlie the Chupacabra, GFreely.com, Personality Type A, Personality Type B, Personality Type C, Traveling. Bookmark the permalink. Have a terrific time, you know you always do! Exactly! And I’m borrowing some awesome camera lenses – I’m hoping in the Indian villages we go to that photos are allowed. 😀 Regardless – I’ll be in the JUNGLE!! Safe travels and enjoy your trip! You’ll appreciate the down time after all that thinking…I hate the thinking…ugh.